Austin Subaru is a flagship dealership in the Continental Automotive Group: a family-owned and operated dealership group serving the greater Austin, Texas area. The Continental Automotive Group has been in continuous operation since 1966 and was originally headquartered in downtown Austin on the corner of West 6th and San Antonio. Austin Subaru was established in 1996 after three decades of unprecedented growth and improvement. Subaru made for a great addition thanks to its reputation for building safe, agile, and unique 4WD vehicles well suited for Texas drivers. In 2008, the dealership moved to a newer, thoroughly upgraded facility. 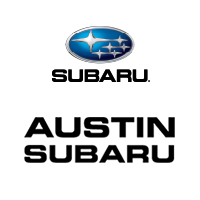 Austin Subaru is currently the largest supplier of pre-owned Subarus and official Subaru parts in Texas. We also have the #2 Subaru mechanic in the nation on our staff. We proudly carry the complete lineup of new Subarus, as well as a wide selection of quality pre-owned vehicles from many major automakers. We also offer easy auto financing, expert maintenance and repairs, and a huge selection of official Subaru parts and accessories. However, we consider ourselves more than just a dealership. For motorists in Austin, Georgetown, Round Rock, Cedar Park, and San Marcos, we are a part of the community as well. In order to show our appreciation for the friends and neighbors that have become our loyal customers, we make an extensive effort to support worthy local causes. In the past we have donated time, money, and resources to nonprofits focused on education, health, community building, environmental restoration, and animal aid. We hope you’ll consider Austin Subaru for your next car. With a long history of serving Austin drivers, our goal is to meet all of your needs while showing you the value of working with a true local dealership. Find the car buying experience you deserve at Austin Subaru.